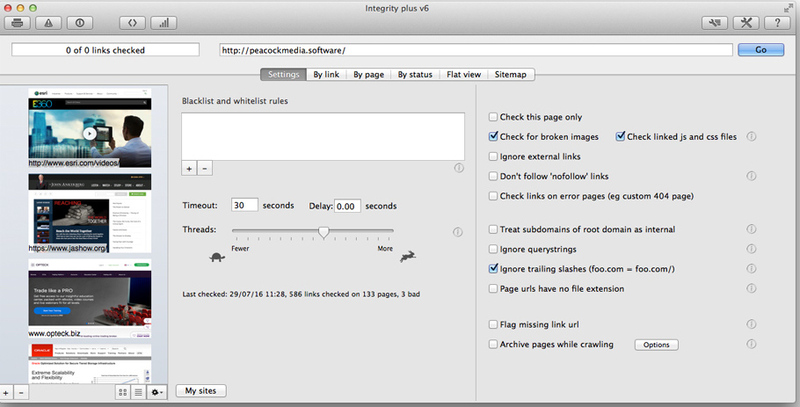 Integrity Plus 6.9.1 – Website broken-link checker and more. Version 6 is faster and leaner. It also separates the engine from the UI so that the engine can be made available to other developers. Next story Swinsian 1.13.3 – Music manager and player. Previous story Scherlokk 3.1.4 – Find and compare files. TripMode 1.0.3 – Your Mac’s mobile data savior. Scrutiny 7.5.3 – Suite of Web optimization tools. Cookie 3.3 – Protect your online privacy.